The modern thesis that Covenant Theology was an innovation of the 17th-century is coming undone. By working through a wide range of primary sources, scholars are demonstrating just how catholic and biblical Reformed covenant theology is. For example, in a lecture I heard last week at our pre-presbytery event in Redlands, CA, John Fesko showed us how the Covenant of Works has theological roots reaching back as far as Jewish exegesis before Christ; among others, he quoted Irenaeus, Jerome, Aquinas, Calvin, and even 16th-century Roman Catholics! Besides putting to rest a bad thesis about theological history, this research is also teaching us about the deep exegetical roots of Covenant Theolgoy. 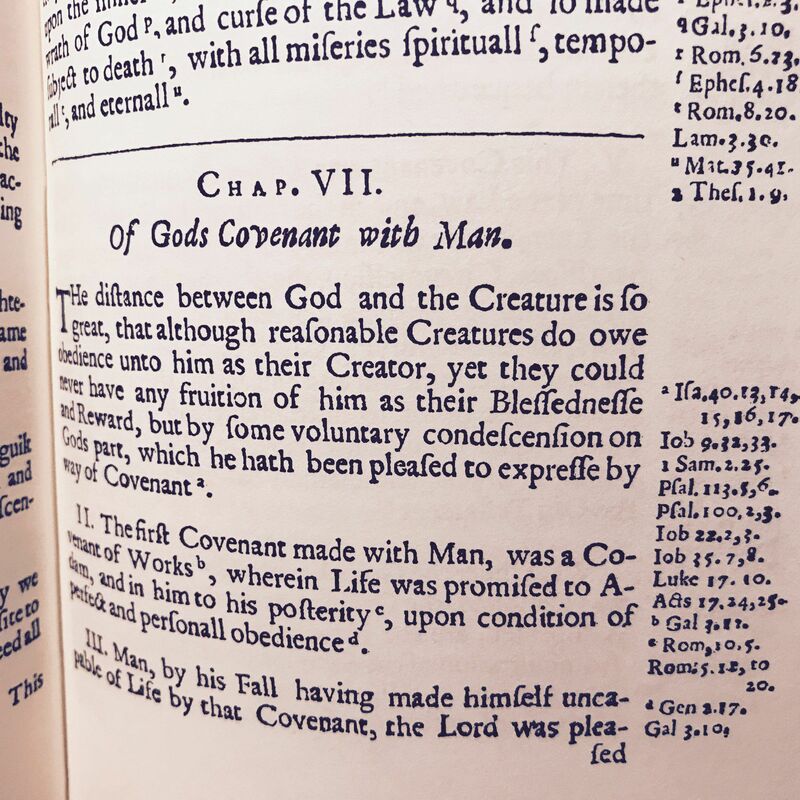 As Dr. Fesko showed, the Covenant of Works, for example, is learned not just from Hosea 6:7 but from a wide range of texts including Genesis 2:17, Romans 5; 1 Corinthians 15:47, Romans 2:14-15, Leviticus 18:5, and Galatians 4. Dr. Fesko has already published a fantastic book on the Covenant of Redemption. Let’s hope we’ll be able to read what he’s written about the Covenant of Works in the near future.